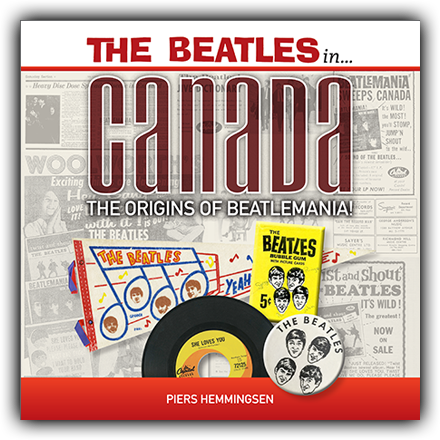 This week, Steve, Allan, Al and Ken are joined by author Piers Hemmingsen, author of the first of a projected two-volume set of books called "The Beatles in Canada" that tells the complete story of the Beatles' record releases and popularity there. Be sure to tell us your thoughts on our show. You can send them to our email address thingswesaidtodayradioshow@gmail.com, join our "Things We Said Today Beatles Fans" Facebook page, tweet us at @thingswesadfab or catch us each on Facebook and give us your thoughts. And we thank you for listening. Don't forget, you can stream the show from our very own YouTube page. And we invite you to please write a review of our show on our iTunes page. And be sure to check our Podbean page and on iTunes regularly for our latest shows, which usually appear each week. Or better yet, subscribe to our iTunes, Podbean or YouTube pages and get notified when a new show is waiting for you.